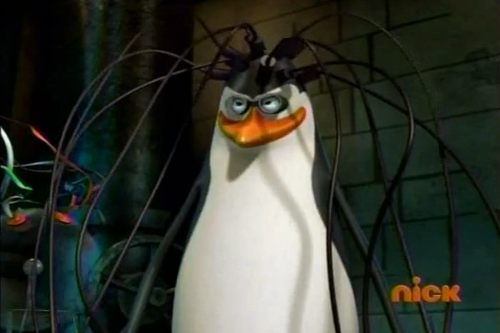 Kowalski is looking like a mad scientist now!. 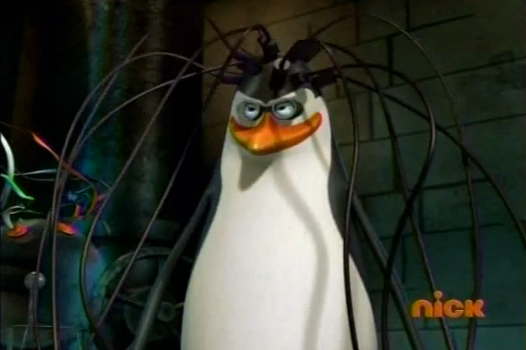 Kowalski has several wires plugged in his head and he will now become an even bigger genius! Even though he is already the smartest pinguim on Earth.. Wallpaper and background images in the Kowalski club tagged: kowalski penguin science mad scientist jiggles. Yikes, the wires look like hair lol!